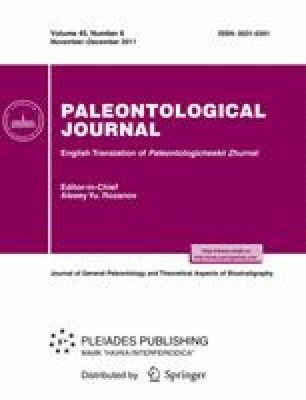 A new plesiosaur, Abyssosaurus nataliae gen. et sp. nov. from the Upper Hauterivian Substage (Lower Cretaceous) of Chuvashia, is described based on a postcranial skeleton. The new taxon is assigned to the family Aristonectidae where it presumably occupies an intermediate position between Late Jurassic Tatenectes and Kimmerosaurus and Late Cretaceous Aristonectes and Kaiwhekea. This is the first reliable record of this family in Russia. Original Russian Text © A.Yu. Berezin, 2011, published in Paleontologicheskii Zhurnal, 2011, No. 6, pp. 51–61.